27 Feburary - In the context of the 34th World Expo opening in Milan this spring, Het Nieuwe Instituut approaches this phenomenon from different perspectives with three exhibitions between April 26 and August 23, 2015. From the at times extremely sober and at others downright over-the-top pavilions the Netherlands has put together over the last hundred years, to the great influence of glass on our progress, and a glimpse into a future with living machines. Dutch pavilion World Expo Montreal, Canada, 1967. Architects: W. Eijkelenboom and A. Middelhoek. Photographer unknown. Collection National Archives of the Netherlands. In the exhibition What is the Netherlands? curator Stephan Petermann (AMO, part of OMA, the office of Rem Koolhaas) outlines a portrait of 14 Dutch contributions to the World Expo since 1910. AMO transforms the 14 radically different pavilions into a series of models of the same scale, which for the first time creates an overview and offers possibilities for new analysis. The exhibition also features highlights from the presentations within the pavilions, including a mural by Karel Appel and a windmill built with Meccano toys, alongside a series of chairs from the pavilions, revealing striking developments in Dutch design. What is the Netherlands? shows how the Dutch entries each time were the product of a collaboration between government, industry, designers and artists. In conjunction with the first World Expo in London in 1851, The Crystal Palace was built. This almost completely transparent exhibition hall, which boasted gigantic dimensions for that time, forms the starting point for the exhibition GLASS. Glass is the oldest man-made material. The nearly invisible material makes the smallest cells visible, but also brings the most distant distances closer by. On the basis of the lens, the test tube and fibreglass, the exhibition shows how glass has been the engine of progress for centuries. Garden of Machines presents a world where machines cannot only be taught to live with humans, but also with plants and animals. Machines are increasingly able to listen, communicate and function more independently, making it high time to consider them as living beings in order to tell a new story about the future of technology. Garden of Machines is inspired by the Machinery Hall, a recurring section at the early World Expo's, where the public could get acquainted with the latest technologies. Since its inception in the nineteenth century, the World Expo has offered a spectacle of technological innovation. Iconic buildings such as the Eiffel Tower in Paris and the Atomium in Brussels were built for the World Expo, where the latest developments in the fields of technology and industry came together with the latest developments in the fields of architecture and design. 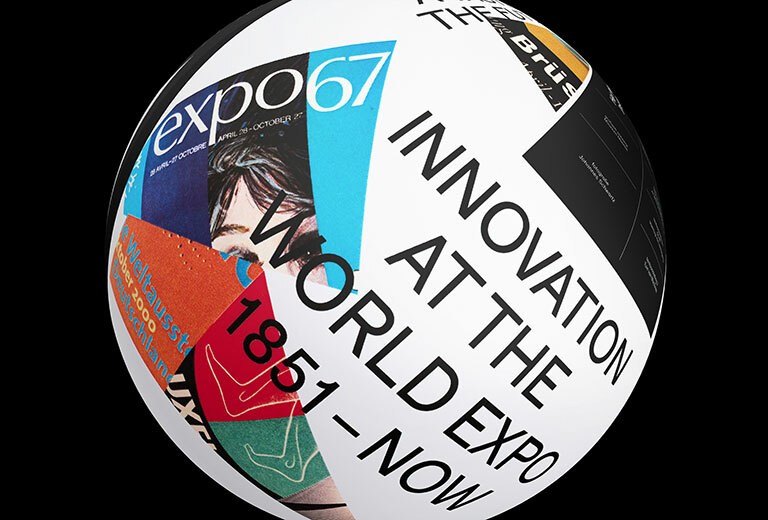 With each edition, the World Expo addresses the big themes of its time and projects an inspiring vision of the future in which technological progress creates more wealth and an improved well-being. Het Nieuwe Instituut shows the optimism of the World Fair, but also pays attention to critical comments.